SUSTAINABLE FUNDRAISING PUTS NONPROFITS BACK IN THE BUSINESS OF GROWING IMPACT. As a nonprofit leader, you wake up every morning excited for the opportunity to do good. But you lie away at night worrying about whether you’ll have the funding to do it. 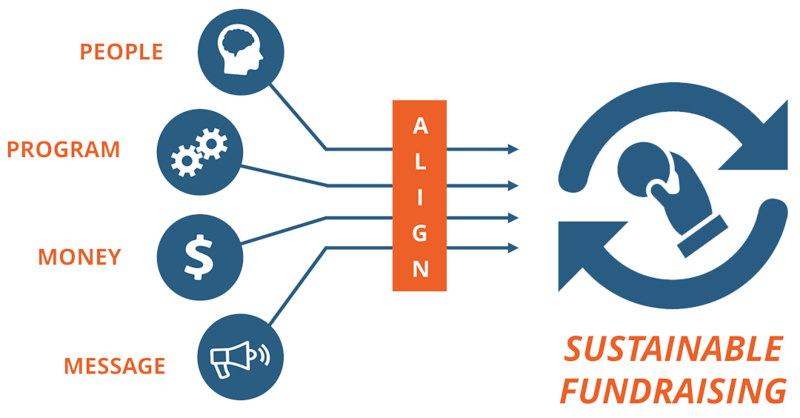 We have a proven process, informed by more than 25 years of combined experience as both donors and fundraisers, that helps nonprofits gain the clarity, tools, and skills they need to increase revenue … and do more good. Your organization can be thoughtfully aligned where programs and fundraising operate in concert. Triad has been helping nonprofits and social enterprises accomplish more for over a decade. LEADERSHIP CHOICES MAKE IT HARDER THAN IT NEEDS TO BE. 74% of nonprofits do not have an in-depth strategic plan for fundraising. 32% don't even maintain a fundraising database. Only 8% of nonprofits see donor retention rate as the most important outcome when measuring success. BOARDS DON’T SEEM TO BE HELPING MUCH. 72% of nonprofits struggle with making sure their board members are actively fundraising and/or keeping them motivated to do so. 53% struggle with finding quality board members who are passionate about the nonprofit's cause. 52% struggle with establishing clear roles and expectations for each board member. Understandably, nonprofit executives aren’t very happy with their development directors. Only 27% of Executive Directors with operating budgets of < $1M are “very satisfied” with their Development Directors. That is if they can keep them around. 46% of Development Director open positions remain unfilled for even longer as nonprofit leaders often just give up. Amid massive turnover, 25% of Executive Directors report lacking the skills to secure gifts. 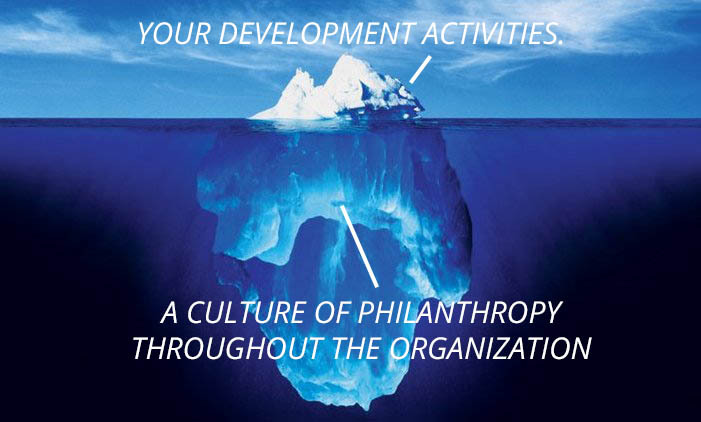 DEVELOPING AN INTERNAL CULTURE OF PHILANTHROPY HELPS COUNTER TURNOVER AND PROMOTES SUSTAINABLE FUNDRAISING. 41% report having no culture of philanthropy at their organizations. High-performing organizations report good donor stewardship throughout the organization.